Lees as Cassie in "A Chorus Line"
Lees Hummel is a mother, dancer, teacher and choreographer currently based in New Brunswick, New Jersey. How many children do you have? Boys? Girls? I am blessed with one girl, whom I had late in life and is a high energy child. Her name is Nyssa Shoshanna Harris, half Greek, German and Scottish and half Jewish. Where were you in your career when your daughter was born? I was at the height of my teaching and choreographic career when my daughter was born having already had a good 20 years of performing behind me. I was an Assistant Professor of Dance at Western Kentucky University when I became pregnant. It was the first decent paying full time "real job" with benefits and insurance and I had ever had and one I spent 5 years trying teaching adjunct at various universities to attain. I had just choreographed Frankenstein, a full length ballet, for Fort Wayne Ballet with my colleague Stephen K. Stone and I felt I was in the prime of both teaching and presenting choreography. I was a bit devastated to have to give up my tenure track position, due to finances and relocating for my husband's job, which was not something the University wanted me to do. They were perfectly happy to allow me a semester's leave before I returned to teaching. In the end, it worked out for the best. I didn't think I could juggle the full university teaching schedule of six classes per semester, choreographing for the dance company and completing all the professional development required for tenure while trying to be a Mom. It took me a long time to adjust to being a "full time mom" and not having a "real job" teaching and choreographing, but when I think of all the valuable time I had with my daughter, I am grateful for that decision. It has been worth every moment of motherhood - even the vomiting all over the car, me, and the house moments. Thankfully, I was beyond my premiere performing career, as I have never felt like I have gotten back to performance shape since the pregnancy. I was lucky enough to continue occasionally performing the first few years after she was born, but now that kind of body capacity seems beyond me. Sadly, I had no "plan" on how to fit motherhood into anything, let alone my artistic life. I was so surprised I was even having a child, after assuming I never would, that I didn't plan for anything. I was pretty clueless going into it and at six months pregnant I moved from Kentucky to North Carolina. I wanted to connect with the dance scene there and find ways to teach part-time in NC. Really, I was in survival mode, as looking for dance work teaching and choreographing was what I knew. This pregnancy thing was foreign and something I kept thinking I would figure out as I went along. I was lucky enough to make great friends and contacts, allowing me to continue teaching at the college level as an adjunct and the occasional local Simonson class for adults. I guess my accidental plans evolved into reality. Right now, what is your goal creatively and artistically? How are you making it all work? Hahahaha...I am laughing because my goals, of any sort, are usually just to make it through the day. My real goal is to return to a full-time university teaching position so I can have summers with Nyssa before she gets to the age where she hates me. The issue with me now, regarding finding a full-time teaching position, is my age and the techniques that I want to teach. I find myself getting age discriminated out of jobs, which as a dancer is really not that surprising, but I feel if they would take the chance to see me in action, I would have a better chance at another teaching position. A creative goal would be to get back into choreographing for more professional companies rather than just university dance programs. Still, I do have opportunities to guest teach and choreograph, which keeps me going. The issue is making my making sure my opportunities work for my family. My husband and I discuss our schedules daily, and it's always a juggle to make sure one of us is available to take, pick up, or stay with Nyssa. It requires a great deal of communication and organization, and sometimes, she just has to accompany us to our work. You are teaching again in New York City, at the renowned Dance New Amsterdam. What are your childcare/travel arrangements for this? One of the reasons I am on the steady substitute list to teach Simonson technique at Dance New Amsterdam (DNA) and not trying to get a regular class on the roster is that the commute is too far for me to do on a daily basis with a child in school and I have a full time administrative job with lustigdancetheatre. We only live 35 miles from NYC, but like any large metropolitan area, it can take an hour or more to travel that distance. If I teach during the week I take the train from New Brunswick, (where I currently work) which is an hour commute and if it's a weekend, we all drive in as a family. My husband will truck around NYC with Nyssa and go see the sights. On Sundays we usually make it into the city in about 45 minutes, but leaving can be difficult and take much longer. During the weeknights, I literally travel in, teach, and hightail it out of there because I need to catch a train home. The nice thing is that the students are always asking me when I will teach again because they like my class, so that is satisfying. I never say "yes" to taking a substitute class until I have confirmed with my husband that he can take care of Nyssa. The lines of communication have to stay open all the time. 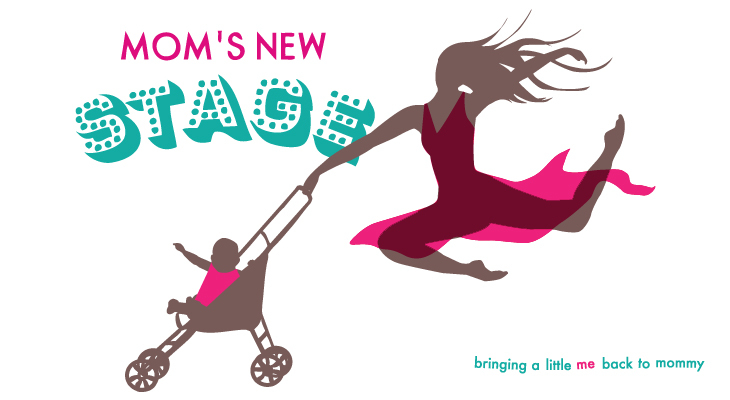 Any I-can't-believe-this-really-happened dancing/choreographing/teaching mommy moments you'd love to share? Oh yes, one of my most vivid memories is when Nyssa was two years old and I had to take her with me to teach at Central Piedmont Community College. The woman who was in charge of the dance program for over 25 years had basically raised her two daughters in the dance studio at the college and encouraged me to bring Nyssa when my husband was out of town, (which at the time was every week). I was teaching a two hour Simonson technique class on Tues/Thurs evenings with a composition/choreography class afterwards. I would always bring plenty of toys, snacks and supplies for Nyssa to the class. As I was teaching the developé series (45 minutes into class), Nyssa had diarrhea which began to soak through her clothes and of course she was walking around. I grabbed her and proceeded to finish teaching the exercise while holding her, put the music on and called out the series while the dancers were doing it and gave corrections, while changing her diaper, clothes and cleaning up diarrhea off of her and myself. Once the developés were over, I kept on teaching like normal. Not one student said a word. I remember thinking at the time that if I could do that, I could probably do anything. Please enjoy a moderate intermission before Act II.